Gladiators of Rome tells the hilarious story of an unlikely hero during the golden age of the Roman Empire. The delightful animated adventure follows Timo, a student at the Gladiators’ Academy in Rome, who has no desire to become a legendary gladiator like his stepfather. That is, until the mesmerizing Lucilla walks into his life. With the help of an unlikely band of sidekicks, Timo is determined to be the gladiator of her dreams and embarks on an action-packed journey to become the Colosseum’s first victor! 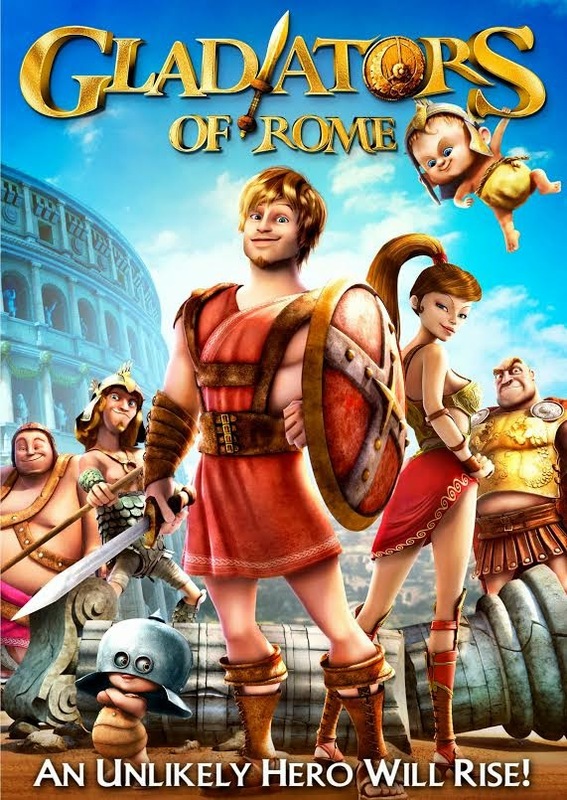 Gladiators of Rome was a great family movie to watch with the kiddos. Filled with lots of adventure that kept my entire family entertained. Timo, the main character was hilarious as him and his sidekicks try to help him become a legendary gladiator to impress the beautiful Lucilla. I absolutely love movies that can keep the entire family laughing and excited. Gladiators of Rome did just that. My son was especially a fan of this movie. He loved seeing all the hilarious training and fighting scenes. He's been mimicking some of the moves for days now. I love how this movie gives the message to kids that anyone could become a hero with enough determination and will power. Definitely a great movie for a family movie night. Gladiators of Rome is out on DVD. Disclosure: All opinions are my own. I received Gladiators of Rome on DVD at no cost for the purpose of this review. No other compensation was received.